So I’ve been pretty absent lately. There are good reasons behind it, though. I’ve been busy is the main one. The second one is that I graduated college two days ago. Woot! Woot! 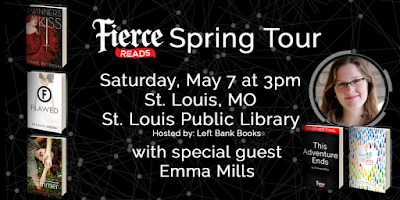 I’ll share more info about that a little later, but for now, let’s take a look at what went down last Saturday at the St. Louis Fierce Reads event. 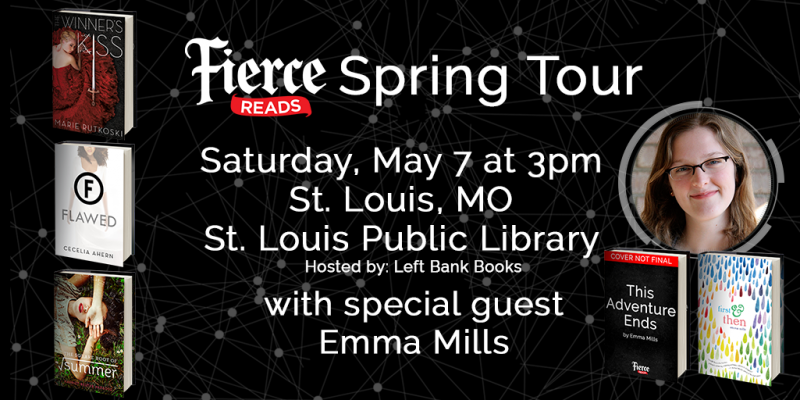 First off, the location was downtown St. Louis. That’s not a good area to try to park in or get to. It’s so crowded and icky. However, I went anyway. By the time I got there, there were very few people actually at the event, and the numbers didn’t increase overly much by the end of it either. All in all, there was maybe 25 people there. 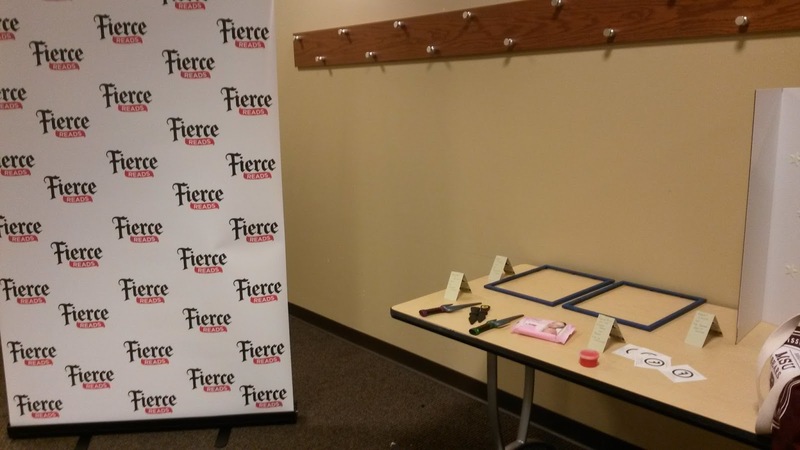 Despite the low numbers, Fierce Reads knows how to put on a good event. 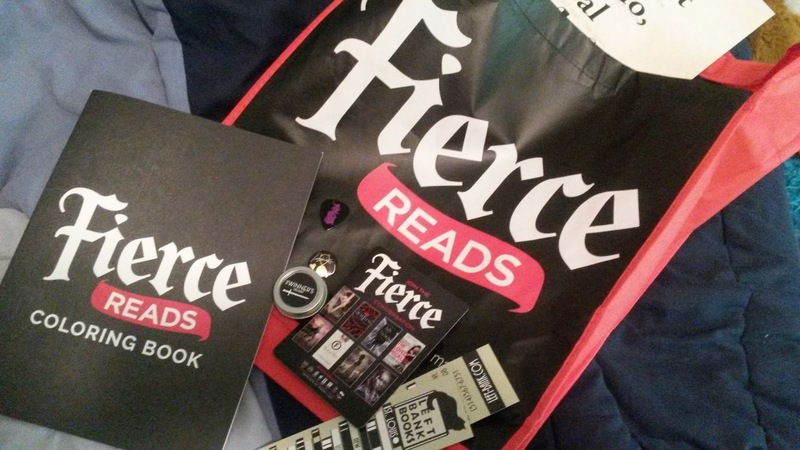 There were Fierce reads coloring books, tote bags, and swag! 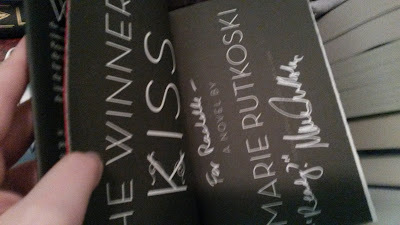 Because I ended up buying two paperback copies of Marie Rutkoski’s books from the vendor, I got a The Winner’s Kiss lip balm and poster. The coloring books were just left on the seats when people arrived though. 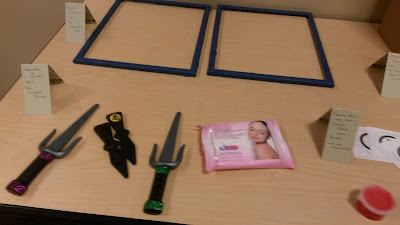 There was also a photo booth with props from the books. 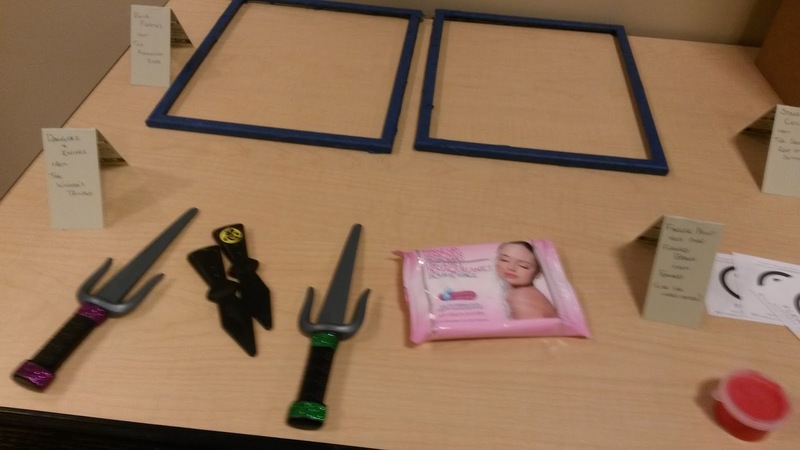 I didn’t have anybody with me to take pics with, or I totally would have had some fun with this. When the authors came out, things were really chill. 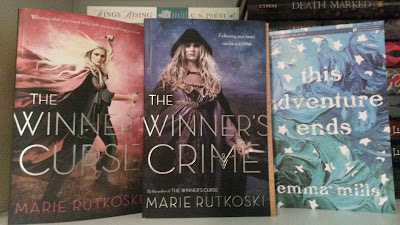 Marie Rutkoski, Cecilia Ahern, Emma Mills, and Harriet Reuter Hapgood all seem to have pretty laid-back personalities. Cecilia is probably the more outgoing of the four. Oh, and before I forget, Cecilia has the best Irish accent, and Harriet’s British one is fantastic too! 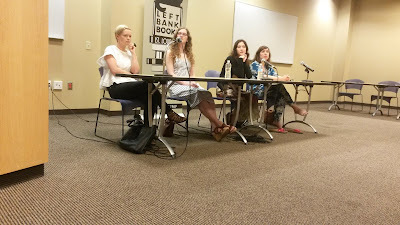 After they all sat down and introduced themselves and their books, the moderator started the Q&A. I tried to copy down as many answers to the Q&A panel as possible, so I’ve transcribed some of it here. Please note that this isn’t word for word. Q: How did you come up with the idea of your book? Was it plot or characters that inspired you to write the story? Marie: Mine started with the economic theory behind the winner’s curse idea. Cecilia: The idea and the world. Harriet: Summer and grief were the first ideas I had. Q: If you had to choose actors to play your characters in the movie version, who would they be? Harriet: Katie Holmes from the ’90s. Cecilia: The girl who played Rue in The Hunger Games. Marie: I would fresh faces. Unknowns. Q: Why did you choose to write the parents the way they are in your books? Marie: Kestrel’s father is a part of the culture and the problem. Emma: For This Adventure Ends the character’s dad is like Nicholas Sparks. He’s a popular author who is going through a mid-life crisis. Cecilia: The mom gets to learn from the daughter and vice versa. Harriet: I don’t like parents in YA stories. I feel like they get in the way of the character’s growth. This sparked a very interesting discussion about horseflies because in a book Harriet had read as a kid, the mother gets bitten by a horsefly and is bed-ridden so the kids are free to have adventures. Marie: Katherine Patterson’s books, like Bridge to Terabithia. Cecilia: My editor now used to write The Babysitter Club books. Emma: I read The Babysitter Club camp book every year! 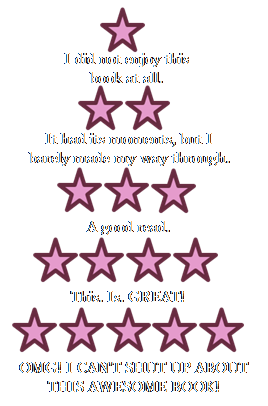 Q: Why do you think being a part of the YA world right now is so great? 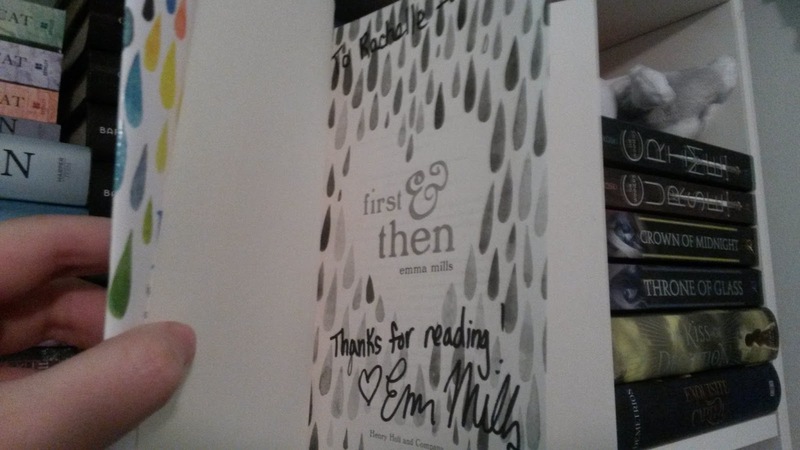 Emma: The YA landscape is changing. Cecilia. 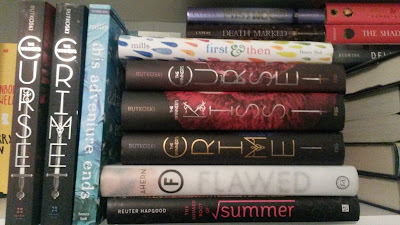 There are so many YA books out now. When I was a kid, there were very few. And all people can read any stories. Age doesn’t matter. Marie: The We Need Diverse Books campaign is a great new addition to the YA world. Harriet: It’s a passionate community. 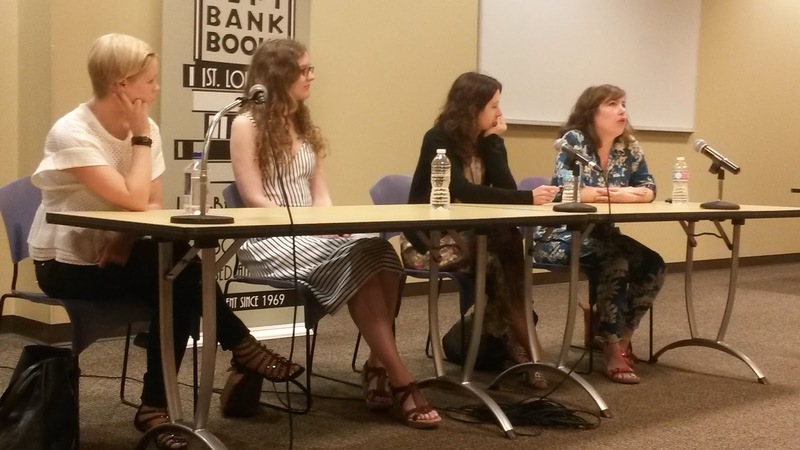 A question was asked by the moderator about Harriet’s amount of followers/readers due to her British origins. Harriet replied that the YA community in Britain is just as passionate. 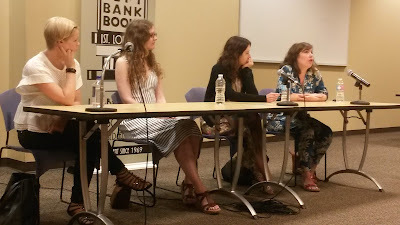 However, she did mention that the U.S. and U.K. need to swap in order to get books published in both countries. 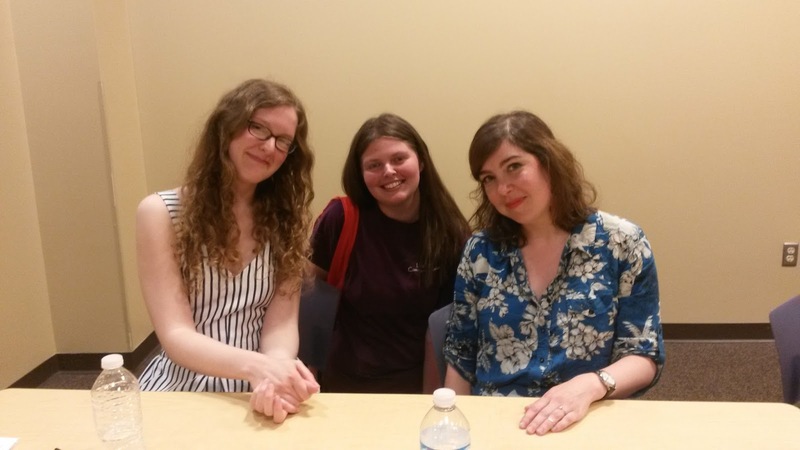 Q: If you die and leave an unfinished manuscript, who would you want to finish it? Cecilia: [Jokes] No one. No one can touch my work. Marie: Kristin Cashore or my friend (I didn’t get her name). 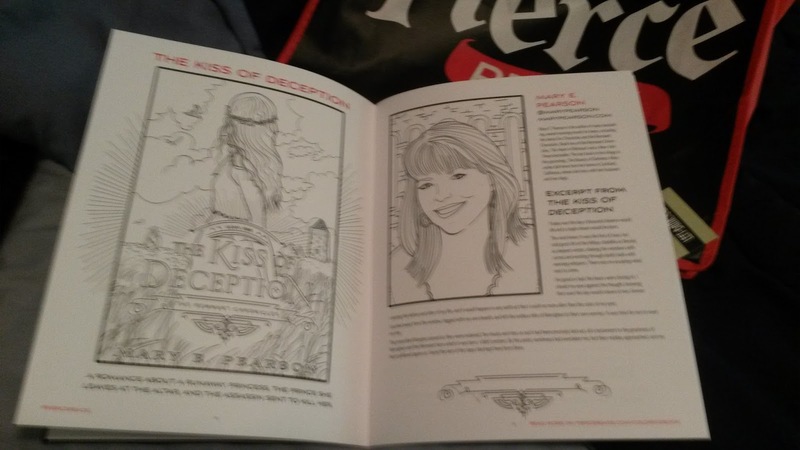 Harriet: Elena Wood who wrote the Secret Rockstar Boyfriend book. Cecilia: [Not sure if this is the correct spelling] Amy Bander. Now, for the audience questions. Q: Have any of your characters ever surprised you? Marie: I once forgot to kill a character. 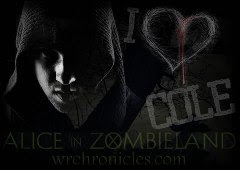 Q: Who are your favorite characters in your books? Marie: Roshar. He has a baby tiger. Cecilia: Kerrick and the granddad. Emma: Foster. And Frank Zanger in This Adventure Ends. And that was the end of the panel. Or at least, that’s where my notes ended. After the panel, there was a raffle for ARCs of This Adventure Ends. I didn’t end up winning one, but the lady sitting next to me who I was chatting with along with her daughter (who was a huge fan of Rutkoski’s and Cassandra Clare’s) gave me hers since her daughter had won a copy as well. They were fantastic people! 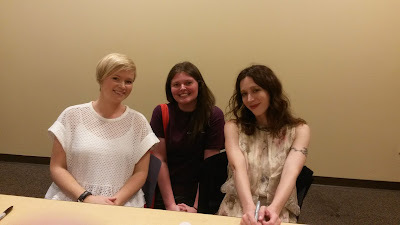 The signing was the last portion of the event, and it went by really fast since there weren’t very many people. I did have a hard time with the pictures though. I didn’t have a friend with me and no one was taking them (usually signings designate a person to take pics), so I had to awkwardly ask the people behind me in line if they would be willing to do so. 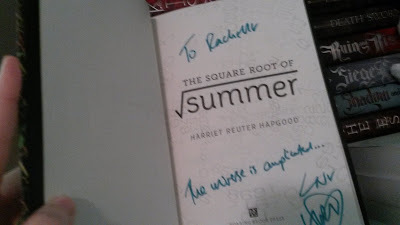 Next, I talked with Harriet who, sadly, didn’t seem to have a lot of people getting her book signed. She did suggest to all of the people walking by that the authors sign next to their coloring book pages. She also had some cool guitar pick and button swag. Left is Emma, then me in the middle, and Harriet on the right. 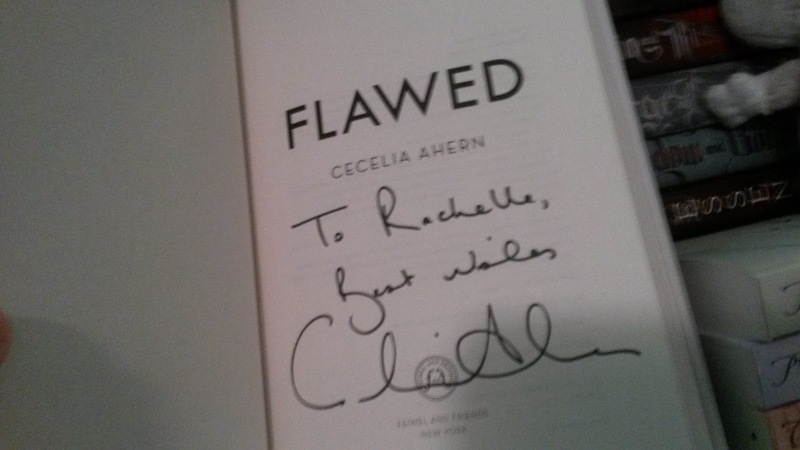 Cecilia was the third author I met. We didn’t talk very much. I haven’t read her book, so I felt really awkward. The last author was Marie. I had five books for her to sign, and she joked that she knew my name by heart after signing them all. Left is Cecilia, then me in the middle, and then Marie on the right.